I counted over 90 varieties of Campbell’s soups and over 70 varieties of Progresso. That’s 160 soups from just two companies! Combined they accounted for over 95% of the choices. This is what most Americans consume for soup. And this is what most Americans think is soup. But this is not the made-from-scratch, nourishing, immune-boosting soups that our grandmothers (or maybe great grandmothers) made. These soups are just industrially processed garbage. They are full of refined, genetically-modified oils, trans-fats, artificial colors, artificial flavorings like MSG and soy byproducts. Just look at the ingredients. You’ll barely see anything resembling actual food. Real soups are made from REAL bone broths (also called bone stocks). Bone broths are an essential part of almost every traditional culture on this planet. They form the foundation of staples such as soups, stews, gravies, curries, tagines, bouillabaisses, cioppinos and gumbos, to name a few. They’ve been used for centuries for their restorative, immune and digestive-boosting power. Basically, broths are simply animal bones that are simmered in water for long periods. Chicken, beef and fish bones are used in the most common broths. This withdraws the nutrients from the bones, in particular, the minerals and presents them in a highly absorbable and thus digestible form. Most people are aware that a good broth is rich in minerals. But a good broth will contain more than just bones. Knuckles, joints, feet, skin, cartilage and tendons attached to bones are often part of a broth as well. Many of these fibrous tissues are composed of a highly dense network of proteins known as collagen. Collagen is only found in animal sources in Nature. The proteins in collagen also break down in a good bone broth and reassemble themselves into the strong but pliable tissues in our body such as our joints, skin and nails. In fact, you may have heard of two such components of collagen, glucosamine and chondroitin sulfates which are sold as supplements for those with joint problems such as osteoarthritis. This may sound a little odd if you’ve ever experienced heartburn (the burning sensation of stomach acid refluxing into the esophagus) or if you’ve been diagnosed with chronic acid reflux which is known as GERD (gastro-esophageal reflux disease). After all, when was the last time you heard a doctor recommend bone broths for acid reflux? Homemade broths are an essential part of my 3-step plan to stop heartburn in my new e-book, The 30 Day Heartburn Solution: A 3-Step Nutrition Program to Stop Acid Reflux Without Drugs. The 30 Day Heartburn Solution: A 3-Step Nutrition Program to Stop Acid Reflux Without Drugs Instead you’ll more than likely be told your stomach is producing too much acid and be sent home with a drug and a few lame suggestions to help you manage your heartburn such as avoiding your triggers (no duh! ), reducing your stress (though they don’t tell you how), not overeating (which you do when you’re stressed) and reducing your intake of fat (which makes you crave sugar and junk food, especially if you’re stressed). I always roll my eyes when I see those suggestions. Thousands upon thousands of websites advise some variation of those suggestions. I call it the conventional “natural” approach to heartburn. But nothing and I mean nothing makes me roll my eyes and shake my head in disbelief more than when I hear doctors prescribing Tums for both acid reflux AND osteoporosis. Tums active ingredient is calcium carbonate. Calcium carbonate alkalinizes the stomach acid for a brief period and thus knocks out an episode of heartburn. Because calcium is also important for bone health, the thinking goes that by taking Tums you can also use it as a calcium supplement. Have you ever looked at what else is in Tums besides calcium carbonate? Sucrose, calcium carbonate, corn starch, talc, mineral oil, natural and artificial flavors, adipic acid, sodium polyphosphate, red 40 lake, yellow 6 lake, yellow 5 (tartrazine) lake, blue 1 lake. Basically, chemicals (some of which contain GMOs). Sucrose and corn starch are genetically modified. Mineral oil is a byproduct of petroleum. Natural flavors means artificial flavors. Adipic acid is used to make nylon. Sodium polyphosphate is used to make detergents. And the four dyes at the end are associated with neurological issues. Joking aside, the crazy irony in this is that we need stomach acid to help break down and absorb nutrients in food, in particular our vitamins and minerals. Your stomach’s primary role is like a blender and what drives that blender speed is stomach acid. Chronically lowering stomach acid is like lowering the speed of the blender. This sets the stage for nutrient deficiencies (and further digestive problems). Sure enough, one of the side effects of taking acid-reducing medications over the long term is deficiencies in vitamin B12, calcium, magnesium, iron, zinc, all of which support bone health. Just listen closely the next time a commercial for an acid blocker like Nexium (aka the purple pill), comes on your television. Considering how bombarded we are with ads for heartburn meds, this shouldn’t take too long. Big Pharma spends millions on advertising for heartburn meds because they rake in billions in profits. Anyway, one of the side effects mentioned is an increased risk of bone fractures. This is a direct result of not properly breaking down minerals as a result of lowered stomach acid. Furthermore, though heartburn medications stop the sensation of heartburn, they don’t permanently stop it. This is why people become dependent on those meds. As soon as they stop taking them, heartburn comes raging back. This is why that, contrary to popular belief, acid reflux is NOT caused by the over production of stomach acid. But that’s a bit of tangent than what I want to discuss today. The somewhat long-winded point I’m trying to make is that consuming homemade soups from homemade bone broths is a fantastic way to normalize digestive health AND boost your intake of minerals. And SO MUCH BETTER than taking Tums or any other digestive med. Of course, the benefits of broths go way beyond just minerals. Let’s take a look at one more key component of homemade broths before we get to a recipe. Another component of collagen is gelatin. Gelatin is a waxy substance that forms when broths cool. It’s the key ingredient that give Jello its jelly-like consistency. 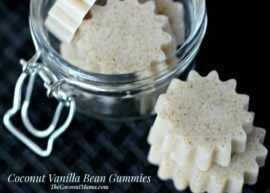 Gelatin has been prized for centuries by cultures around the world for its numerous health benefits, in particular its ability to help ease gastrointestinal discomfort. Nutritionist Kaayla Daniel in her article entitled, “Why Broth is Beautiful”, discusses the role gelatin played in the medical profession in the first part of the 20 century. She cites numerous researchers that studied its benefits and doctors that used it therapeutically with patients for an assortment of digestive problems including bacterial infections, inflammation, IBS and dysbiosis. “Sour stomach” essentially means heartburn. A sign of a good broth is how well it gels due to the gelatin. Upon cooling the broth should giggle like Jello. Admittedly, I haven’t always been successful at this. In fact, more often than not, I don’t get much gelatin in my broths. This is due to a few reasons that I’m learning. First, I’ve added way too much water in the past. Too much water will dilute the gelatin. A good rule of thumb is about one to one and a half pounds of bones per quart of water. Second, boiling broths can also prevent gelatin from forming. Instead, they should be simmered at a very low temperature. A good gauge of a good simmer is a few bubbles rising to the surface here and there. Even a rolling boil is too high of a temperature. If you’re cooking on a stove top that would mean a fairly low setting – medium low to low. If you’re cooking with a crockpot that would also mean a very low setting. My crockpot’s lowest setting is actually too high and that’s been part of my problem. Yeah, I really need a new crockpot. Third, you need a variety of bones and different parts of the animal to produce a good gelatin. Traditionally, chicken stocks were made with chicken feet, necks, back and even the head. Beef stocks were made with meaty bones, knuckle bones and marrow bones. For me, I’ve had the most success forming gelatin with beef stocks. That’s probably because beef bones are thicker and contain more collagen than say fish or chicken bones. Now if you can’t get a good variety of bones, don’t stress it. Any bones will do but do try to get the best quality bones you can from grass-fed sources. Work with what you have and what you can get. They will still impart valuable minerals and nutrients. If your stock doesn’t gel well it’ll still be a million times better than buying Campbell’s or Progresso soup or god forbid those little bouillon cubes that have just as many toxic ingredients as canned soups. The great thing about broths is that you can always spice them up after the fact. Some folks even prefer blander broths for that reason. So on that note, what follows is my basic recipe for beef stock from my new e-book. And if you or someone you know suffers from chronic heartburn or GERD, has been told they have to take acid blockers permanently or just constantly walks around with a bottle of Tums, I’m confident you’ll find a REAL solution using REAL food right here. About three to four pounds bones including marrow bones, meaty bones and knuckle bones. Place non-meaty bones and vegetables in stockpot or crockpot, cover with water and add vinegar. Let sit for one hour. Roast meaty bones in oven set at 400 degrees ’til browned (not charred!) for 15-30 minutes. Add to crockpot. Deglaze the drippings from the roasting pan by adding water or red wine over high heat and scraping with a spatula. Add deglazed drippings to pot. I often skip this as I’m pretty impatient but it will impart a deeper, richer flavor. Bring to a gentle boil, skim scum that rises to surface and reduce heat to a very gentle simmer as described above. Add wine, peppercorns, bay leaves and thyme. These are fairly common additions that will give your beef stock a nice flavor but again, when I’m in a rush, I’ll often skip all of them. Simmer gently for at least 12 hours but as long as 72 hours. Remove the bones and strain broth in a fine mesh or cheesecloth-lined colander. Cool and transfer to fridge or freezer. Roast meaty bones in oven set at 400 degrees til browned (not charred!) for 15-30 minutes. Add to crockpot. Deglaze the drippings from the roasting pan by adding water or red wine over high heat and scraping with a spatula. Add deglazed drippings to pot. I often skip this as I’m pretty impatient but it will impart a deeper, richer flavor. Craig Fear is a certified Nutritional Therapy Practitioner. He opened Pioneer Valley Nutritional Therapy in Northampton, Massachusetts in 2009 and started his blog, Fearless Eating in 2011. You can also find Fearless Eating on Facebook, Pinterest and Google +. He specializes in digestive issues and works with clients both over the phone and in person. The foundation of his practice is helping his clients transition to a nutrient-dense, traditional foods diet. He has just released a new ebook, The 30 Day Heartburn Solution: A Three-Step Program to Stop Acid Reflux Without Drugs. Craig’s interests include hiking, playing guitar, spending time with Lipton (his roommate’s golden retriever), meditation, rooting for his beloved New York Giants, travel, and writing and blogging about nutrition. He also loves coffee and is only mildly addicted to it. Hi, i have 2 questions: 1) about 2 years ago, i borrowed someone’s crock pot to make beef bone broth. i think i had it cooking for 12 hours – a long time. the smell in the house was putrid. i couldn’t stand it & it lasted for days. how do you folks put up with the smell? i’m not sure if i had grass fed bones, or not – – so, maybe there’s a difference? i see on one of the sites suggested that you can buy the broth already made, but it is pricey. and there’s nothing like homemade. 2) i see vastly different accounts of how long to cook the bones – 12 hours, 72 hours, all week (!!?!!) in crock pots, dutch ovens, pressure cooker. i would imagine in a dutch oven, you would have to keep adding water, right? also, people write in that the crock pots do not have low enough heat – so you would have to keep adding water, right. the only thing that makes sense right now is a pressure cooker. Hi The bone broth gel , after refrigerated do you eat it or melt it to drink. . I am here because my doctor told me to make bone marrow broth to treat my GERD. Sounds like you have a wise doctor!!! I’ve been having some stomach congestion, and it’s really bothering me. 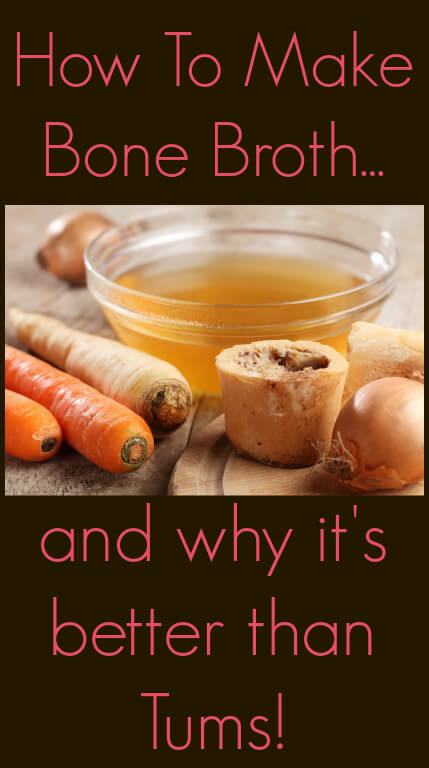 I didn’t know that something like bone broth could help with that! It’s interesting that it helps even more than Tums. Thanks for sharing! I have been making beef bone broth for the past couple of months, however i can’t figure out how people drink it straight up. It smells and tastes awful to me. I’ve tried cooking it with onions and carrots to see if that would help, but to no avail. I try and cook all the veggies and meat i give to my 11 month old in the beef broth, but i myself can’t eat it unless it’s in a soup. Am i doing something wrong? Does everyone else have some superpower that allows them to drink it by itself? Hi there, I too am put off by the smell so I just try not to inhale when taking a sip. As for the taste add salt I use Himalayan and it will be much more to your liking. Could it be that you are NOT using grass-fed bones? I have made it with femur bones that were not “organic” and the smell was awful. Threw it out. Then I made it a second time with grass-fed bones……HUGE difference. Smelled like a roast cooking in the oven. I simmered it in my crock pot for 48 hours with onion, carrots, celery and Braggs apple cider vinegar. Needed salt and pepper when finished, but otherwise….delish! I make a batch of Bone broth, and freeze the rest and take it out as needed, i use a Electric Pressure cooker, the Instant pot Duo, it is a great pressure cooker, or if making a large amount to freeze I use a large pot on the burner. Just made a great recipe that made organic chicken, and had cauliflower, zucchini, celery, onion, and Garlic and several herbs, and Lemons in the electric pressure cooker it was fantastic, ill switch off between beef and chicken. I agree completely with using a pressure cooker. I always get super-duper, slice-when-cold stock when using my pressure cooker. I put the bones etc in and set for 95 min on high pressure. I usually do this 2x if I’m not in a rush. Best BB Ever! I understand the concern about processed soup but some of your comments are simply inaccurate. I am holding in my hands a can of Campbell’s Select Harvest “Savory Chicken with Vegetable”….it has no trans fat and no added MSG. The label explains that there is a small amount of naturally occurring MSG in yeast extract. Ok, maybe it’s not as good as homemade but I recognise everything on the label as real food except a few such as maltodextrin, and company takes the time and label space to explain what these are and that they are natural occurring. For people like me who don’t have time to cook this is the best alternative I have found. 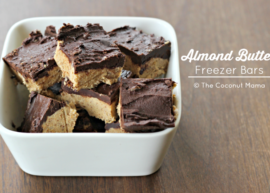 Not as good as homemade…true! Industrially processed garbage…in this case, false! The industries are actually allowed to put false info on the labels to a certain extent!!! And most ingredients on a boxed or canned item was engineered. If I can’t read it, I don’t eat it. I clicked on your link to get the first four chapters of “the 30 Day Heartburn Solution” for free and it only tells me how to purchase this book. Is the link expired for the freebe? Thanks for your help. Hi – is the vinegar for flavor or does it do something nutritionally? I believe the vinegar helps to break down the bones to infuse the broth with minerals. I agree with the crock pot being too high temp when on low setting. However, if I leave the lid sideways (on and oval crock pot) or with an inch high utencil across a round crock pot it helps keep it in the 180 to 200 degree range. You do have to be available to add water every 3-5 hours. I agree with Lori. My crock pot “simmers” right around 200 F at it’s lowest setting. I guess I need to find a good dutch oven and use that instead. I tried making broth with chicken but it just tasted off and burnt. 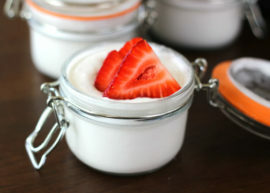 Would love to have this shared at a new blog hop Healing With Food Friday. Blog hop is every Friday through Thursday and the a new one opens the next Friday.